After the Roadster rebranding only to look like Divvy (which proved to be a PR disaster for Roadster!) there seems to be another close call in town. 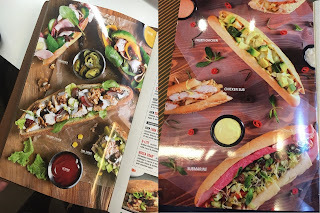 Mr Brown has a menu which is - from the photo above - too close to Crepaway in feel, colors, layout, and ingredients and all else. It could be an "innocent coincidence" or I could be seeing similarities where there are none, or it could be the work of some "creative" specialized in redoing what already exists in the market (several names come to mind! ).